The 500L is Fiat’s first major expansion from the tiny Fiat 500. While the 500 is a city car known for its tiny size and excellent handling, the 2019 Fiat 500L is a compact hatchback. With the initial release of the 500L in 2014, Fiat aimed to create a more spacious version of the 500 that could pack plenty of cargo inside while still maintaining the driving feel of the original Fiat 500. The compact wagon certainly lived up to the aims of the designers, giving drivers and passengers a roomy interior and four-door entry - a significant upgrade from the two doors offered in the original 500. There are many reasons that this compact vehicle is a good choice on the road, and a few drawbacks to consider as well. The company streamlined the 2019 Fiat 500L line, removing the Urbana Appearance package from the Trekking model. Some other packages have been updated with a modern look, though the appearance updates are barely noticeable unless side by side with an earlier model of the 500L. No other notable changes were made in 2019. When you first see the 2019 Fiat 500L, its condensed frame and small appearance may lead you to believe that the interior will be cramped - especially for cargo. Fortunately, that’s not the case - the vehicle has a fantastic 22.4 cubic feet of space behind the rear passenger seats. When you fold those back seats down, the space expands to 68 cubic feet. That’s easily enough o fit a few bags and suitcases for your next vacation. To add to this large cargo space, the rear floorboard can be removed and reinstalled at a number of different heights, which can let you stack items in ways that would otherwise not be possible. Compact hatchbacks tend to struggle with having enough interior space for taller drivers, a fact that’s especially apparent when drivers accidentally hit their head against the roof when leaning forward. The 500L doesn’t have this problem, allowing taller drivers and passengers to fit with ease. The tall roof design also makes the interior of the vehicle feel especially spacious. As for total interior space, you’ll find plenty of room for stretching with 98.8 total cubic feet of passenger space. The center control console is intuitive and easy to use, making it a breeze to control everything from air conditioning to radio station selection while focusing on the road. The buttons and knobs are large and feel responsive when turning, and the screen located in the center of the console has text large enough to read when just glancing over. 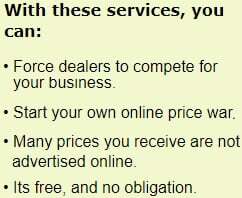 The menus on the system are also relatively simple to use. All models of the 2019 Fiat 500L come with a 1.4-liter turbocharged engine. This engine provides 160 horsepower and 184 lb-ft of torque. Though this isn’t the most powerful engine in its class, the Fiat still gets the requisite amount of power for both highway and city driving. This is amplified by the built-in six-speed automatic transmission, which moves easily through the gears no matter how hard you push the car. Because of the horsepower and torque provided, the Fiat is able to reliably get up to speed in a short amount of time. You won’t have to worry about merging onto a highway at speed. It’s easy to customize the 2019 Fiat 500L to your liking, as there are three distinct models that each come with unique trim choices. 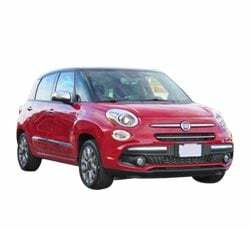 The Fiat 500L Pop model is the base version, offering most of the basic features of any current compact car, including remote locking and unlocking, a large 7-inch infotainment system, and cruise control. It also comes with some luxury features, including heated mirrors and a rearview camera for backup assistance. Next up is the 500L Trekking, which is designed to enhance the vehicle’s road feel on tough terrain. The Trekking upgrades wheels to 17 inches instead of 16, refashions the exterior trim, and includes foglights for enhanced visibility. This model also has more luxury features, including heated front seats and ambient interior lighting. The 500L’s most expensive model is the Lunge, which decks out the exterior with chrome accents. It also can include a sunroof, an upgraded sound system, and more. Many compact vehicles struggle with noise from wheel vibration or wind. The 2019 Fiat 500L doesn’t struggle much with this problem, keeping both road noise and wind noise to a minimum. Even at highway speeds, you’ll be hard-pressed to notice many sounds. Winds coming from the side of the vehicle do tend to introduce some noise, but overall noise levels are negligible. This makes travel less of a headache - both literally and figuratively. Some compact hatchbacks struggle to stay comfortable on the road at high speed, bumping up and down with every small pothole or crack. This is in part due to the design of the vehicle and in part due to a poorly tuned suspension, particularly when the car is under heavy load. The 2019 Fiat 500L does not struggle with ride comfort most of the time, offering plenty of road feedback while still maintaining ride comfort. This is one aspect of the ride that you might not even notice, as comfort is inherently unnoticeable when done well - but pay careful attention and you’ll notice that smaller bumps will barely be felt. The 500L steers extremely well, whether you’re on curvy country roads or simply changing lanes on the highway. Every steering input is met with an instant response from the wheels, letting you put your trust in the car without any extra thought necessary. When under heavy loads steering becomes a bit more difficult, though this is expected for vehicles of this size and weight class. There are some trims available for the 2019 Fiat 500L that offer an astounding number of features for very little in upgrade price. For example, the Popular Equipment package adds on some much-needed safety features. This package includes an auto-dimming rearview mirror for enhanced visibility, rear parking sensors, and automatic climate control for the front and back separately. For the base Pop model, you can purchase the Premium package, which includes the above upgrades and an enhanced 9-speaker sound system. Fiat focused on the panoramic nature of its cabin designs, making sure that all of the windows of the Fiat 500 and the 2019 Fiat 500L are larger than what you would find in the average compact car. This means that visibility is far better than you may be used to, letting you see around you and let natural light into the cabin. Compact hatchbacks and other compact cars are generally known for their top tier fuel efficiency, often clocking in over 30 miles per gallon on the highway and close to it in the city. The 2019 Fiat 500L falls below that mark, only clocking in at 22 miles per gallon in the city and 30 on the highway. Though this is below average, it still falls in line with some other stalwarts of the class. The 500L can struggle when road surfaces are uneven or extremely rough. Because the suspension is quite firm and the car rides somewhat awkwardly due to its height, it can be difficult to control the vehicle on these types of terrain. Longer drives may be uncomfortable for rear seat passengers, as the seats are somewhat stiff. Front-to-back support on the seats is not stellar for shorter passengers, and the high seat height adds to that by not allowing feet to touch the ground as easily. You’ll have to upgrade with packages or model choices in order to get some basic safety features you may expect in a base model of a compact car. Though you do get the staples, like traction control and a rearview camera, you don’t get rear parking sensors or cross-traffic alert systems at all. However, you can upgrade the Pop and Trekking models with a rear sensor system for parking. This upgrade comes standard on the Lounge model, but none of the other safety options are available in Fiat models at all. The 2019 Fiat 500L has a unique niche among compact hatchbacks. Its closest competitor may be the Mini Countryman, but there are few similarities between the cars other than size. The 500L is roomier on the inside, less expensive, and rides more like a traditional hatchback. There’s also the Kia Soul - a compact hatchback that boasts similar exterior size and better fuel efficiency but doesn’t have the same interior space ratio as the 500L. If you’re looking for a stylish compact hatchback as your next vehicle, then the 2019 Fiat 500L is definitely a car to consider. Its unique exterior and roomy interior for both passengers and cargo make this car a great choice. There are a few drawbacks to this vehicle - namely fuel economy and lack of some safety technology - but overall, this year’s model is a car that may match your personality well.